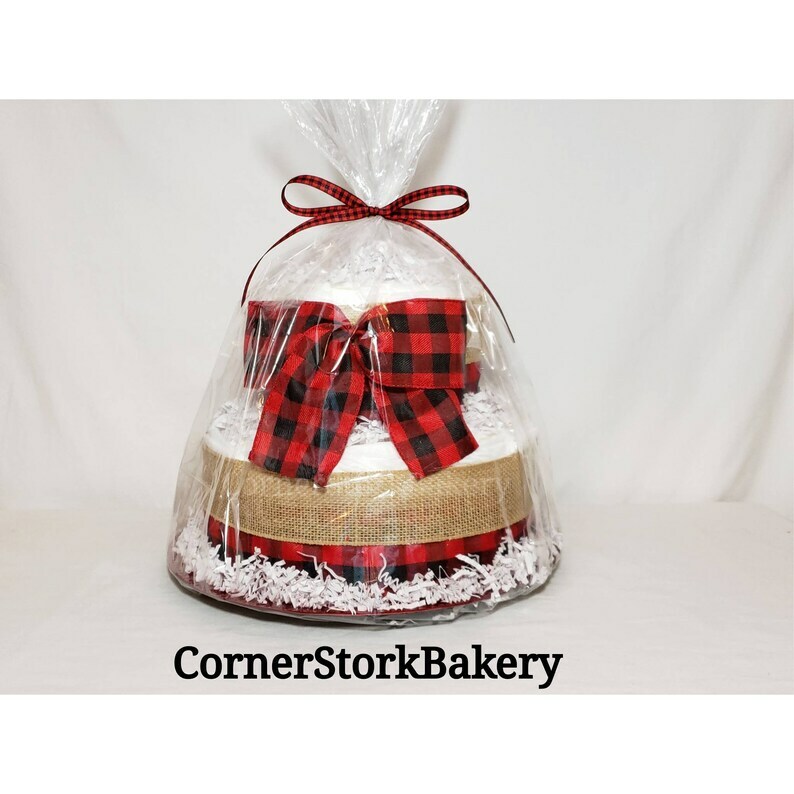 This Buffalo plaid and burlap 2 tier Diaper Cake makes a great baby shower gift for someone special. Perfect for an outdoor/ woodland/ or lumberjack theme. Can be custom made to match your theme per request. It makes an adorable centerpiece for the baby shower. ☆ Looking for matching Mini Diaper Cakes for the guest tables? I can add them to your order for $11. each plus shipping fees. Each Mini Diaper Cake Includes- 8 diapers, ribbons, crepe paper & cellophane bag with matching ribbon and a handmade gift tag. Send me a message of how many you need & we can get your order started.